This design requested by Carliss represents the Caribbean spirit that wins over every adversity, the triumph of life upon every difficulty. 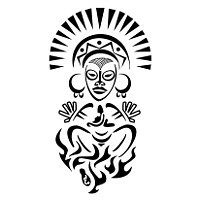 From the bottom, fire represents adversities, and among the flames appears the shape of Guabancex, the god that brings hurricanes. 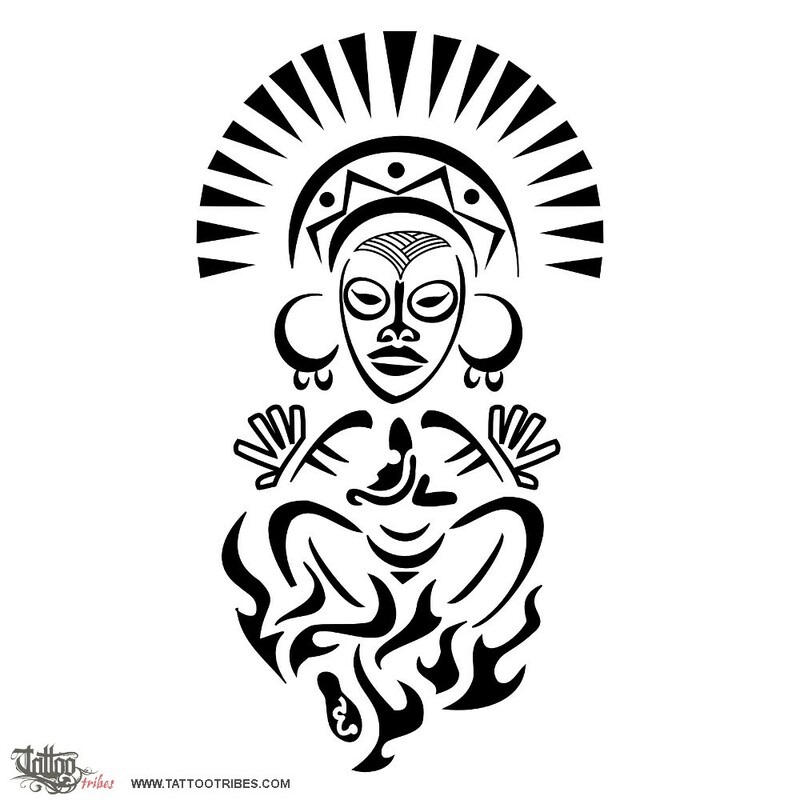 Above it, overcoming them all, the female figure represents Atabeyra, mother earth that gives life, symbol of fertility; on her womb she is carrying the stylized figure of Yúcahu, god of harvests and abundance. The crown on the head of Atabeyra represents the sun, source of life and joy, and we shaped it like the feathered headdress used during the carnival, supreme example of the spirit of Caribbean people.